80 Days and Mysterious Island great..20000 leagues ok. 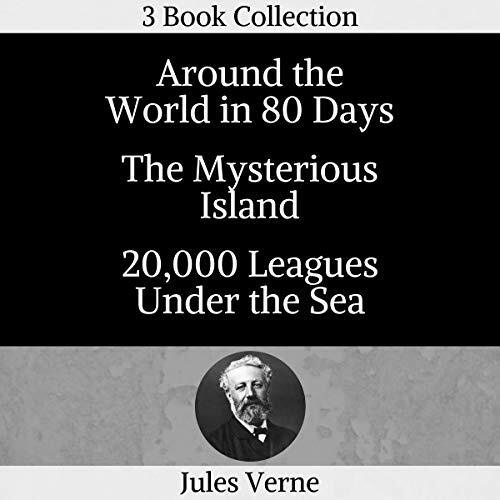 The first two are wonderfully narrated nd great versions of jules vernes works! The last book was a little choppy to listen to but still enjoyable..
All good until you get to the last book. It is a grand journey until you arrive at the last book: Journey to the Center of the Earth. The audio is atrocious. It sounds like it was recorded on a pair of headphones with a microphone. Such a shame to ruin a great story with poor production. What a wonderful set of novels i loved every minute of all 3. i highly recommend them all.